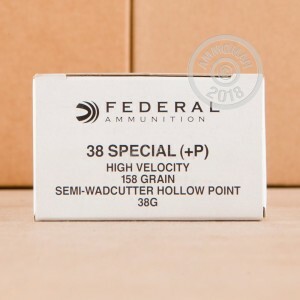 If you carry a J-Frame, an LCR, or any other .38 special revolver then you'll want to load up with these rounds from Federal for your training and defense needs. 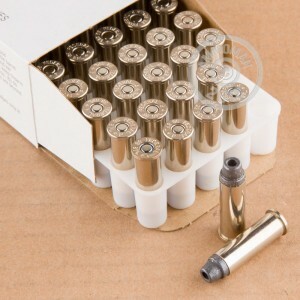 These cartridges follow a classic "FBI Load" formula which consists of a +P charge behind a 158 grain lead semi-wadcutter hollow point bullet. The projectile's heavy weight, lack of coat, inclusion of a forward cavity, and muzzle velocity of 900 feet per second all work together fantastically resulting in deep penetration and reliable expansion out of any size barrel from pocket gun to lever-action rifle. Federal Premium ammunition is U.S. made and backed by nearly a century of manufacturing experience including the high volume demands of WWII. This brand of ammo is respected by all shooters for its innovative designs in hunting, law enforcement, and sporting products.